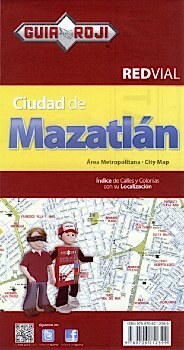 Detailed street map of Mazatlán. Includes an index of streets and colonias. Scale 1:17,000. Select any of the other 58 items in City Maps below for more information.